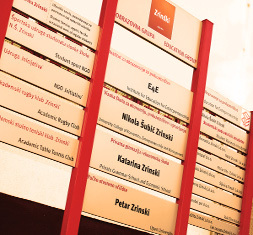 University College of Economics, Entrepreneurship and Management Nikola Subic Zrinski is organizing 9th International Conference on Entrepreneurial Learning – ICEL. The main theme of the 9th International Conference of Entrepreneurial Learning is New perspectives in research, education and practice of entrepreneurship. The purpose of ICEL 9 Conference is to bring together students, researchers and practitioners interested in the new opportunities in education for entrepreneurship and the application of digital competencies and entrepreneurial skills. The aim of ICEL 9 Conference is to provide opportunities for students, researchers and practitioners through interaction and networking to identify and exchange practical and scientifically proven solutions that support entrepreneurship. International Conference on Entrepreneurial Learning, zrinski.org, Powered by Joomla!